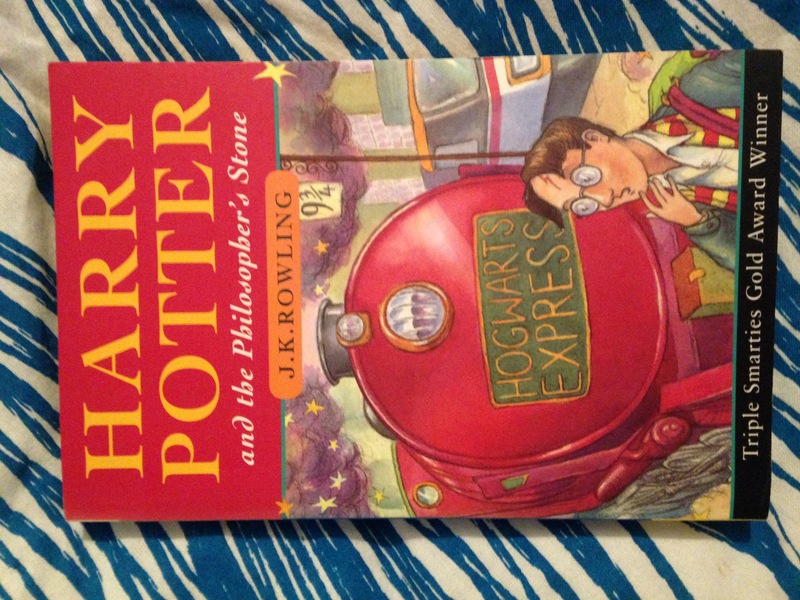 Harry Potter and the Philosopher’s Stone is without doubt the most important book I’ve ever read. The act of reading this novel has unquestionably changed who I am. To understand what I mean, I need to take you back many years to 1997. In June, Bloomsbury publish Harry Potter and the Philosopher’s Stone. In September, I start Secondary School. There’s a huge buzz around the book but it feels too young for me and I never get round to reading it. At this point I’d read most of The Lord of the Rings and Harry Potter seemed like a backwards step. Fast forward to 2001, Daniel Radcliffe stars in the film adaptation. I’m now 15, dark-haired, wear glasses, keep quiet and am often the smartest or best performer in class. I’m not a nerd or an outcast, I play rugby for the school and have plenty of friends. At some point, I don’t remember who or when, someone connects the three of us (Harry, Daniel and me). For the most part it’s Harry that I’m compared to, as far as I remember for the resemblance. I’d been bullied before, would be bullied again and would bully people. For some reason, the only thing that I have never been able to shake is the feeling of persecution and worthlessness when I’m called Harry. It was by no means a new nickname for me, those who called me by it were usually older and would soon move on. Yet, it stuck with me long after it was said. The more I reacted, the more people would drop it in. I wondered for a while if the people calling me Harry were intimidated by me. By our nature, we bully those who are smarter or more successful than us, trying to make them seem more human than the idealised version we have in our minds. I’d like to say I never bullied again after this started, but who would believe that. As we get trodden on by bigger people, so we step on those smaller than us. This went on throughout school, with no-one knowing I was so cut up about it. I learned to laugh it off and try to own in. This led to the worst event, where I was invited to a party of a boy in the year above me on the condition that I turned up as Harry Potter. All my friends were going, so I pretended I thought it was funny too and turned up in full fancy dress with broomstick and all. To this day, that is the least dignified I have felt. I traded my soul for a party. After school, the names changed as Radcliffe become more popular in his own right. I’d even get some appreciation from girls who fancied him. Yet, even at university the occasionally “You’re a wizard Harry” would drift in from someone walking past me and I’d crumble inside. It took 15 years before I was comfortable enough with myself to sit down and enjoy reading Harry Potter and the Philosopher’s Stone. A decade and a half of ignoring books and films that many around me love, because it still reminded me of the feelings I used to get in the depths of my stomach. I’ve done much braver things in that time, dealt with bigger problems, but never cracked it until now. I don’t know if it’s because I’m a father of two, happy in my career or just finally old enough to let go, but picking up the paperback felt important. As I read, I enjoyed myself and felt ridiculous for avoiding a harmless book for so long. The first Harry Potter novel is one of those special books that young and adult readers can both understand and enjoy in their own ways. Superficially, there’s a coming-of-age, magical adventure story with a clear structure, villain and battle. Look deeper, and it deals with class, racism, bullying, coming to terms with ourselves and realising we each have strengths. There’s no age at which those lessons can’t help a reader. Perhaps the only real flaw is the oddly quick way in which the conclusion unfolds, which feels anticlimactic and unnecessarily forced. It’s been a long journey, but I finally understand what Harry Potter means to me. Being told you’re a wizard is one thing, but embracing it is something much more important. JK Rowling was born in 1965 and is famous around the world for creating Harry Potter. After seven Potter novels and sales over 400 million copies, she moved into crime writing under the name Robert Galbraith.